Homes that were foreclosed during the housing crisis have gained almost twice as much value as other homes. Unfortunately, the original owners of those homes are not benefiting from that recovery. Since low-end homes were much more likely to be foreclosed, the housing crisis worsened the gap between rich and poor in the U.S.
During the run-up to the housing bubble, many low-income earners bought homes, but when home values crashed in 2007, millions of them had to walk away – abandoning their initial investment and missing the opportunity to gain equity as home values recovered. The financial divide is consistently growing. In 2000, high-income households made an average of six times as much income as the lowest third of households. In 2015, the top third made nearly seven times as much as the lowest third. During the run-up to the housing bubble, homeownership rate rose from about 65 percent in the mid-1990s to almost 70 percent in 2006. Of all foreclosed homes during the following crisis, 46.7 percent were in the least expensive third of homes. Only 16.6 percent were in the most expensive third. Foreclosed homes gained value faster than other homes, and in many markets, are more valuable now than they’ve ever been. 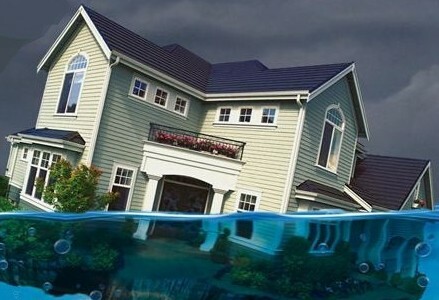 Since the lowest point in the housing bust, the average U.S. home has risen 22 percent in value, while the average foreclosed home has risen 39 percent in value. In many cases, investors bought foreclosed homes and converted them into rental properties, benefiting from the recovery as home values bounced back. The percentage of single-family homes being rented out has risen from 13 to 19 percent over the past decade. As the gap between the rich and poor keeps growing, we must keep the conversation going. It is important to remember that many lower-income Americans lost their homes during the foreclosure crisis. Now they remain locked out of the benefits of the housing market recovery, stuck paying ever-increasing rents.